Before I go on, I want to say I have a great family. They are supportive, kind, loving, and fun. We aren’t perfect, and I recognize that the issues we face are largely not big issues. When I think of “family,” I have many fond memories that warm my soul. But, the problem I have with saying that we want our leadership group or our workgroup to become “a family” is that not everyone is filled with good feelings when they hear the word family. And, you don’t have to be a family to get the work of your leadership group done. 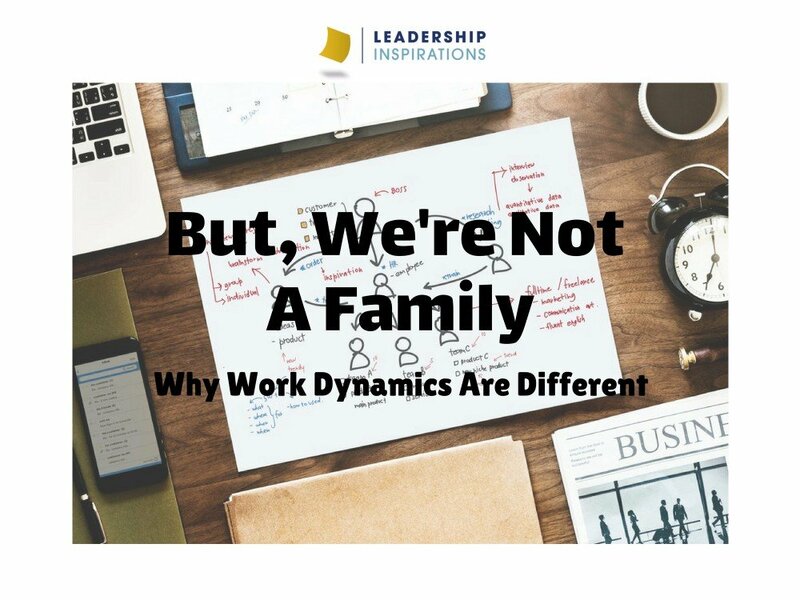 I recently came across this blog by David Dye in a daily blog briefing with the title “Work is Not Family.” I was intrigued. He notes that not all people have good feelings about family and that assuming everyone does is part of the problem. He argues that family and working relationships are different in very important ways – that “you can’t fire a brother or sister for poor performance.” Our work and leadership groups have a special and stated purpose. My family doesn’t have a specific task it has to get done. It doesn’t serve others by its very nature; it may serve others because we choose that as a family value, but it’s not inherent like the way it is in our work and leadership groups. The expectations of families and work relationships are not the same, and conflating them can be confusing in difficult conversation (like when a boss needs to fire an employee for any number of reasons). Dye gives a few suggestions for how to motivate your team and integrate the family conversation in a constructive way. 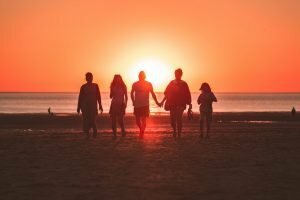 I agree with his suggestion to talk about what it means to be a family given all of our different experiences with that; it can be a powerful way to get on the same page if that “family” language is an important part of the experience you want to create. The key is that you talk about it and don’t just assume that everyone has the same definition of family. Gino wrote a great blog about exploring your own roots, which might provide ideas on how to enter this conversation. I think when people talk about families, they are talking about the most idealistic elements of families – such as trust, protection, loyalty, deep connection, dependability, and acceptance. I don’t believe we need to create a “family” to create a leadership environment that has those characteristics, while also accomplishing the work of our group. And for me, that’s key. How can we create trust, protection, loyalty, deep connection, dependability and acceptance in those groups? We’ve already written about some of these topics in this blog – trust, dependability through accountability, and moving toward acceptance without labels. For a moment, I want to focus on creating protection, loyalty and deep connections. We create protection by creating inclusion. We create protection when we acknowledge people’s strengths and help them improve their weaknesses through feedback. We create protection by clearly outlining what is expected and addressing each other openly, honestly and humbly when we believe those expectations haven’t been met. We create protection when we work through conflict openly to promote higher performance. We also develop protection by being loyal to each other and to the group. We establish loyalty when we keep our individual and group commitments. We deepen loyalty when we maintain confidentiality, whether that’s between individuals or between our group and the people we serve. We show loyalty when we speak well of our group to others, even in the face of others’ criticism or our own disagreement with group decisions. We strengthen loyalty by deepening our connections to each other. Deep connections may be based on knowing personal details about people, or they may be based on impactful shared experiences. True story – I don’t know that many specific details about our founder Kim Hayashi, but I know her and I count her as more than a trusted colleague, she’s a true friend in my life. People have different ways they want to engage deeply with others, and by respecting those differences, we can build more authentic connections. We also build deep relationships by being curious about others rather than trying to make them curious about ourselves – so we might aim to listen more, ask more questions, and talk less. 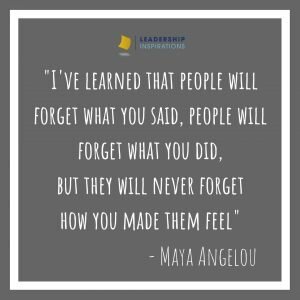 At the end of the day, I believe we want our members to feel good about being part of our work or leadership group. And I believe that feeling good can mean a number of different things – including impactful, important, valuable, included, strong… – and I believe there are a lot of different ways to make that happen. Protection – Lead an activity like Needs and Offers that helps group members to communicate what they need to be successful and what they have to offer to the group to help them to achieve success as well. Loyalty – Develop loyalty through trust in your group with an activity like Trust Walk. 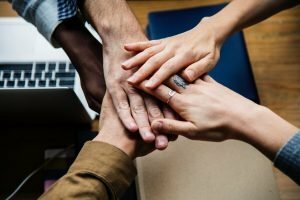 In your debrief, have group members discuss what it means to be trusting and trustworthy and how that helps you to reach both individual and collective goals. 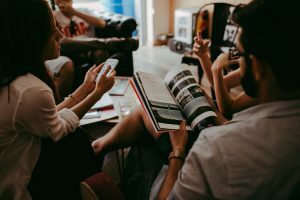 Deep Connections – We can cultivate deep connections with our groups with meaningful shared experiences. The bonding activity I Wish My Team Knew helps teams to communicate with each other openly, honestly, and with vulnerability in a safe and constructive space. Kenna’s life work is about helping people work better together – and she’s starting to realize that this is not just professional work but personal too! 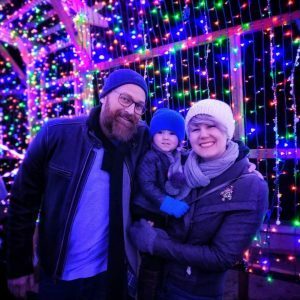 Kenna fills her time with meaningful relationships with her husband of 11 years, 2-year-old daughter, incredible family & friends and significant work at City of Hope, Alliant International University, and Leadership Inspirations while carving time for herself.